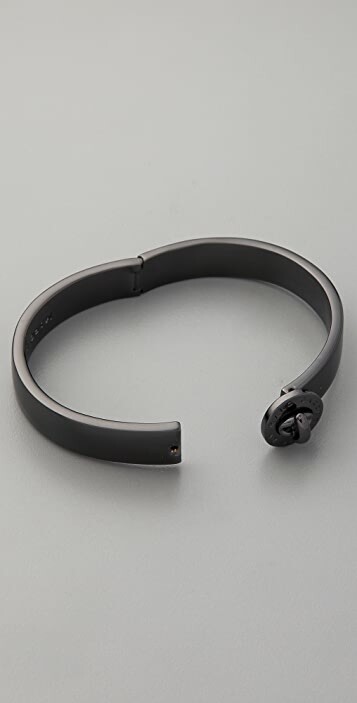 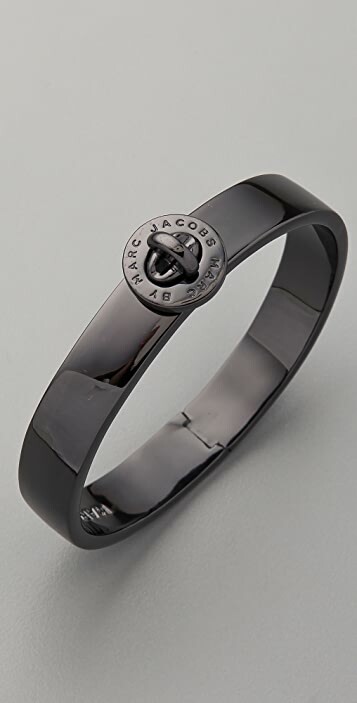 This hinged, hematite-plated Marc by Marc Jacobs bracelet features logo lettering at the turn-lock detail. 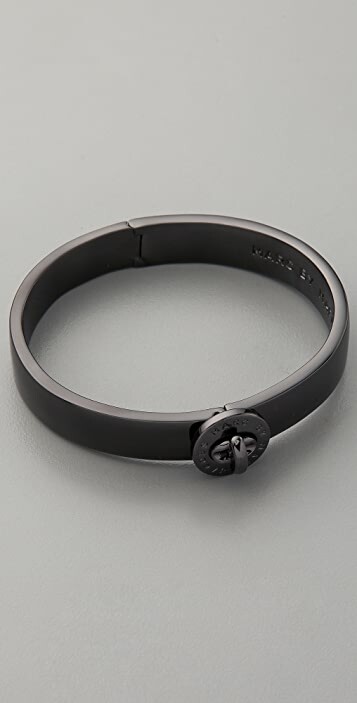 Hidden box clasp. 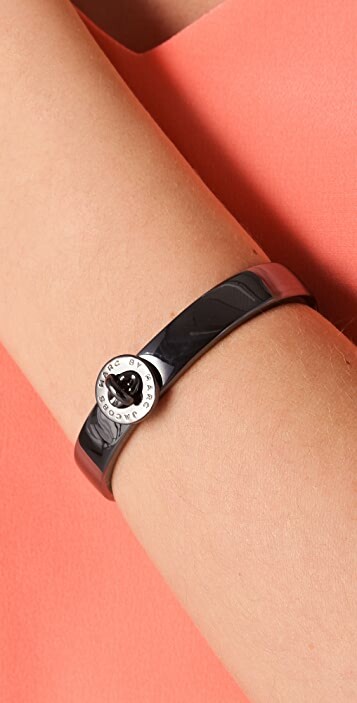 * 2.25" (5.5 cm) diameter.